The World Social Forum (WSF) has become the focus for a diverse array of movements advancing alternative visions of globalisation. The numerous WSF's have helped to connect activists in an increasingly dense network of advocates for radical social change. They have mobilised hundreds of thousands of people and may be one of the most important political developments of our time. 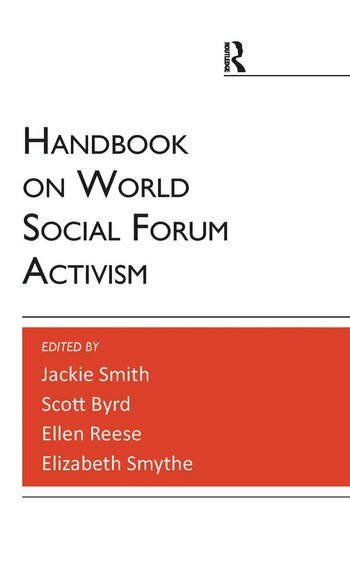 The Handbook of World Social Forum Activism brings together leading scholars of the social forum process from North America and Europe. The collection contributes to the ongoing process of reflection from the WSF experience, and is accessible to activists, students and scholars alike.